I was cheering for Leonardo DiCaprio to win his Oscar as much as anyone else. I saw The Revenant, and I have to admit, my favorite character was the scenery, which made me vaguely homesick for Canada (but not so much for Canadian winter). Contrary to my belief going in, The Revenant was not a zombie flick, but rather a deep treatise about human nature apparently based on a true story. I had to check with Hollywood vs. History when I go home, and I was surprised to read that the truth in the story was not so much in the revenge as in the survival. 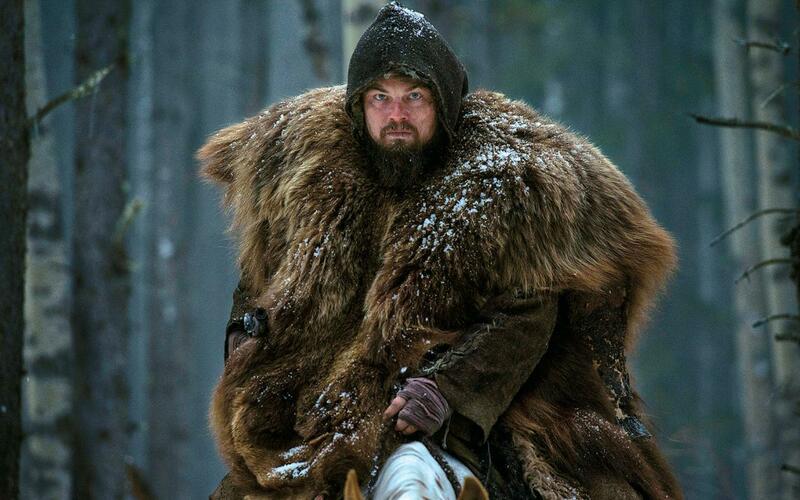 In fact, Hugh Glass may not even have had a son; much less seen him killed before his eyes. According to the site, he apparently forgave those who abandoned him rather than “exacting violent revenge.” But somehow, I don’t think that version would have played out as well in Hollywood. But it made me curious about why they chose to make such a fundamental alteration to the tale. Maybe they had an idea of the ending and knew it would take an extreme act to bring about the drama on screen. The murder of a son seems so unforgivable, and in fact we wouldn't have forgiven the directors if he had faced Fitzgerald just to let him go. Perhaps that satisfying ending reminds us of those times when we couldn't or didn't get justice from those who wronged us and we are vicariously justified in a visceral way. The movie is popular internationally because the themes are common to the human experience. See, the power of story is in how it appeals to either our human nature or divine nature. For example, I am a huge fan of The Lord of the Rings. And I believe it appeals to something within us that knows that no matter the odds, good must win over evil in the end. But at the same time, in our current culture it seems that revenge sells: the anti-hero is bringing audiences out like never before, and portrayals of a person’s descent into darkness seem to be much more prevalent than themes of redemption. Maybe we feel a sense of relief when we see someone who is likeable but has done horrible things get away with them, because in a sense, that is who we are, or hope to be. The dilemmas of justice presented in the stories of our time invite us to decide whether law is truly a standard by which right and wrong can be measured. I believe our sense of justice is a remnant, however often twisted, of God's image within us. However, until in humility we face our divine sentence and the awe of divine forgiveness, we are more than happy to be the judge, jury and executioner. Again and again we are satisfied with violence where God is satisfied with mercy. Christ’s response to his torture and murder was "Father, forgive them". We are not superhuman, but it might be time to stop covering our guilt up with self-righteousness, with church attendance and financial giving and kind words to friends and family, and sharing uplifting posts on Facebook, and at some point, face the fact that we are the true “savages”. In fact, that was the scene from The Revenant that broke my heart and has stayed with me more than the brutal revenge: the hanging of the only one who showed kindness on a tree, with a sign above his head. It was a reminder to me that in any quest for justice, we’d best keep an eye on the mirror to make sure we’re not becoming the same kind of monster we’ve been condemning.